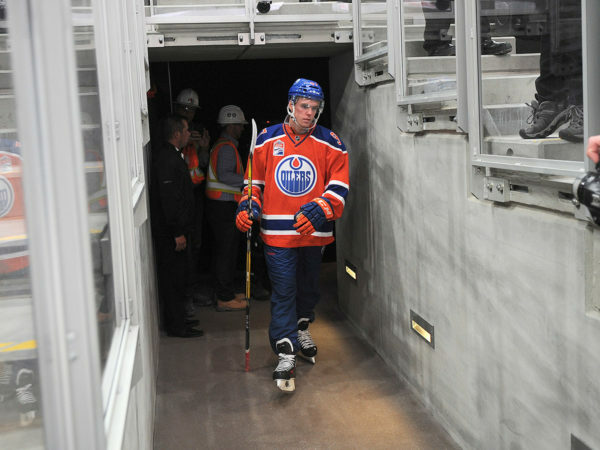 EDMONTON, AB – Connor McDavid will go down, officially, as the first Oilers player to ever set foot on Rogers Place ice. The second-year centre put blade to ice Thursday, as a handful of current players held an informal skate with local minor hockey kids to ceremonially christen the team’s new home in the heart of downtown Edmonton. McDavid took half a lap alone before being joined on the ice by kids and teammates. McDavid didn’t expect to be the first one out, but seemed to realize the significance of the moment. 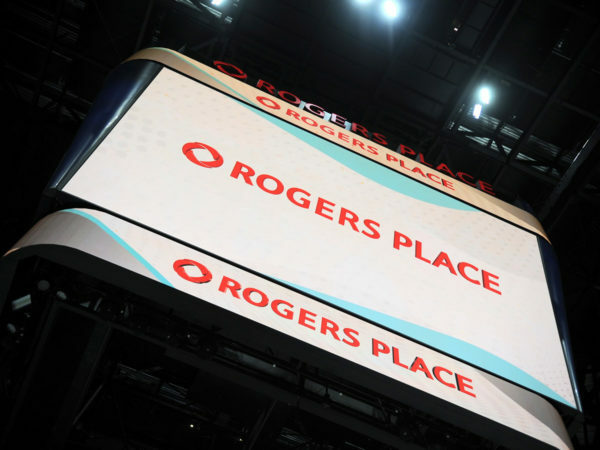 Oilers Entertainment Group (OEG) CEO and Vice Chair Bob Nicholson spoke about symbolism Thursday and how the opening of Rogers Place ushers in a new era for the City and the organization. The symbolism rang loudly with McDavid’s first on-ice steps, and even with the presence of the next generation of Oilers fans. 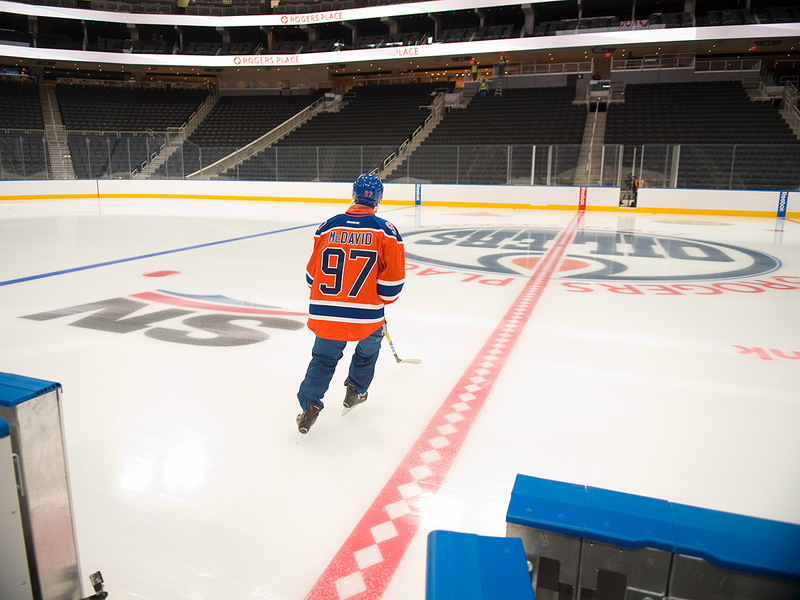 “We really thought the right way to do this was to bring a lot of the existing Oilers onto the ice, they’re going to be playing here,” said Nicholson. McDavid was joined by Ryan Nugent-Hopkins, Andrej Sekera, Brandon Davidson, Mark Letestu, Iiro Pakarinen and Jonas Gustavsson. “Really, this is the new generation of the Oilers hockey team,” said Nicholson. In addition to the NHL skaters, OEG reached out to the Edmonton Minor Hockey Association, which randomly chose young players from the area to participate in the historic event. A new generation of Oilers, and a new generation of fans took to the ice together. “It’s important that kids have dreams and we build the fanbase right here in Edmonton,” said Nicholson. “For the little kids coming out here it’s exciting, but for us it’s the same thing,” said Nugent-Hopkins. There were a lot of smiles and a few moments where you could catch the players staring up into the stands, or at the massive centre-hung scoreboard. Such a moment took place early in the skate when McDavid and Sekera skated side by side at centre ice and craned their necks upward to admire the view with awed grins on their faces. Thursday was just an informal taste of what it will be like to take the ice for real when training camp and the pre-season get going later this month. But it was enough of a taste to get the players even more excited for 2016-17. Since the arena broke ground March 3, 2014, it has been a buzzing hub of construction. It has been built, quite literally, from the ground up into this iconic structure perched on 104th Ave. On Thursday, skates carved up the ice for the first time, and a test of the goal horn rang through the bowl. 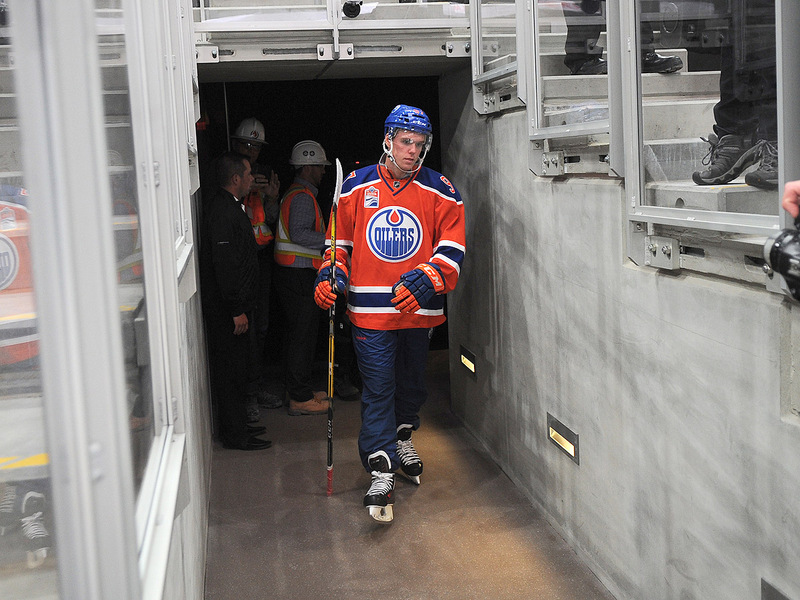 Rogers Place truly felt like a hockey rink on Thursday, and its impeding opening became more reality than vision.